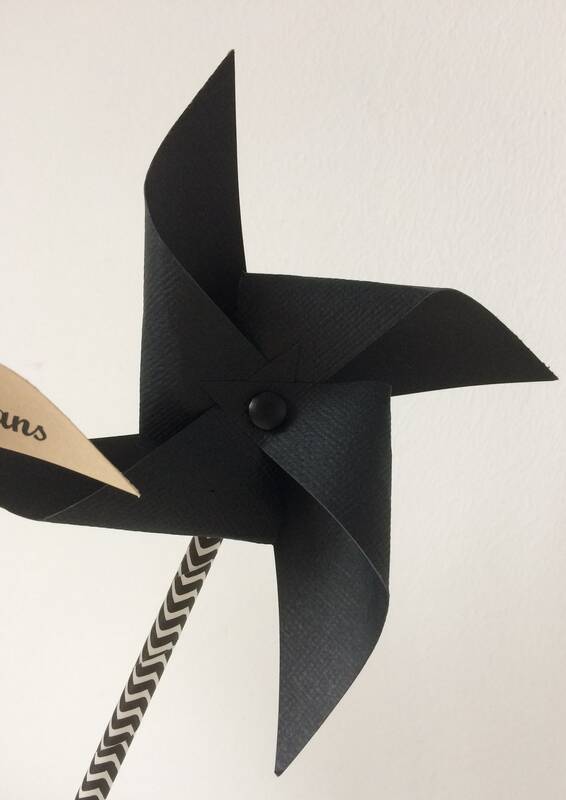 Set of 3 windmills kraft, black & white. 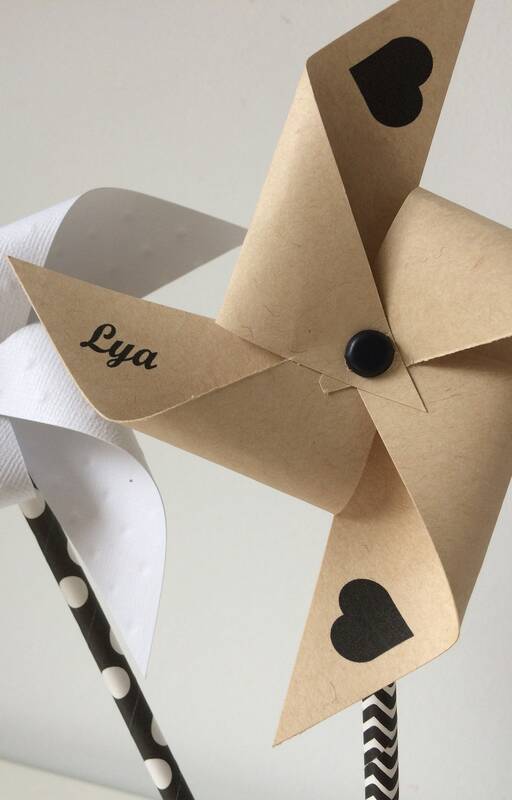 Ideal for any occasion (baptism, wedding, birthday...) to bring a touch of decoration day J! 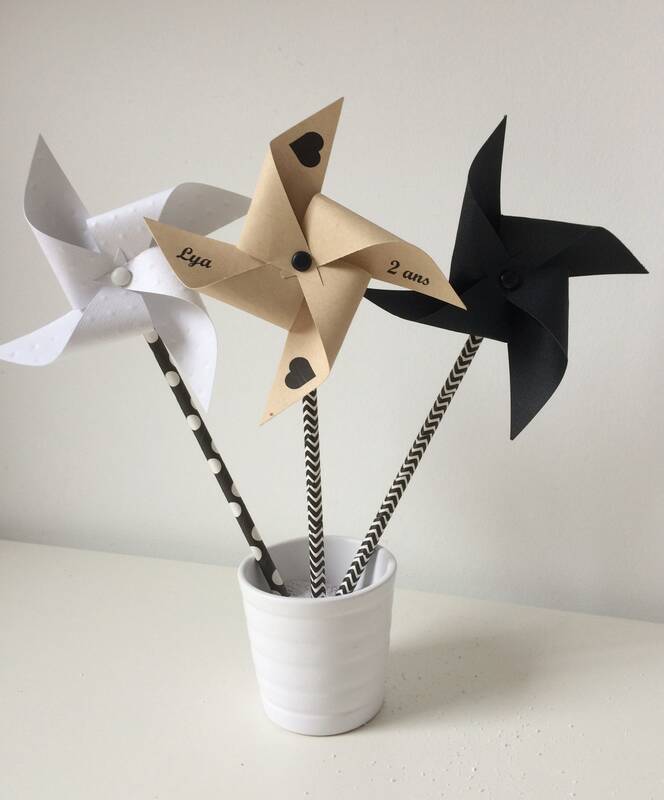 3 pinwheels 14cm diameter. It is possible to mix the mill kraft with other colors (I will customize of course color straws to your colors).